For the extreme diver ready to further explore the world of technical deep diving, the gas of choice is trimix - a blend of oxygen, helium and nitrogen. The PADI Tec Trimix Diver course takes you to the outer edges of technical deep diving, opening the door to pristine dive sites few divers - if any - ever see. The PADI Tec Trimix Diver course is intended to extend the depth range of technical divers already trained and qualified to use air, enriched air and oxygen for technical decompression dives beyond 50 metres/165 feet. 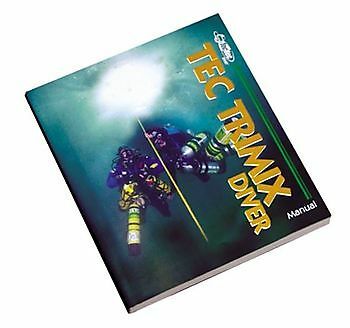 Diving with trimix is the outer edge of tec diving - the maximum depth for using this technology has yet to be defined. Go diving. Now you have the opportunity to go and challenge yourself and take your diving in the direction want to go. The world is your oyster and nothing will seem out of reach an unattainable.